Another fun weekend of baking a few months ago ! My Tipsy Tart (thanks for the nick name Al) Leopard Lady went out for a Saturday celebration. She is relaxing in her martini glass while holding a glass of wine! I loved the brief from Andrea and Colin for this cake and was delighted to hear that Glynnis enjoyed a brilliant 60th birthday celebration and that she cried when she saw her cake! This particular cake started with a spot of research into Spotted Baking as I wanted to replicate the leopard’s spots in the cake itself. 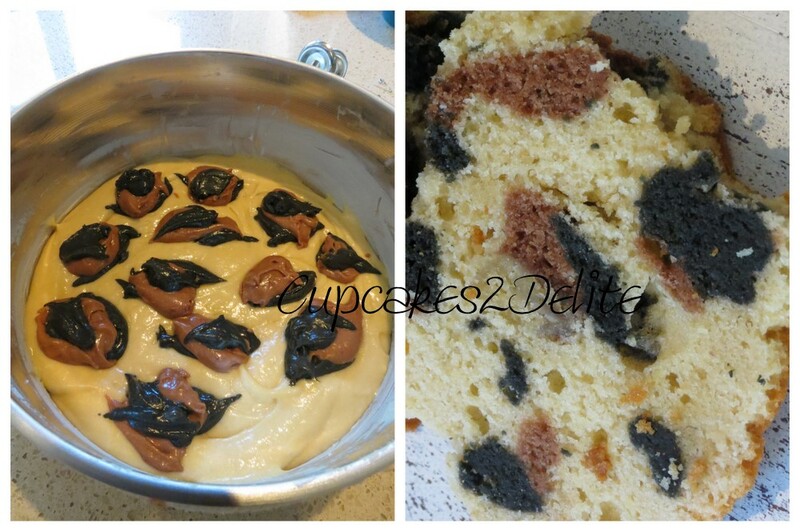 I was rewarded with many how tos from google on how to do this and you will see in the picture above exactly how to create the spots by colouring your cake mixture light brown and black and then adding these colours into your vanilla cake mixture in the baking tin. 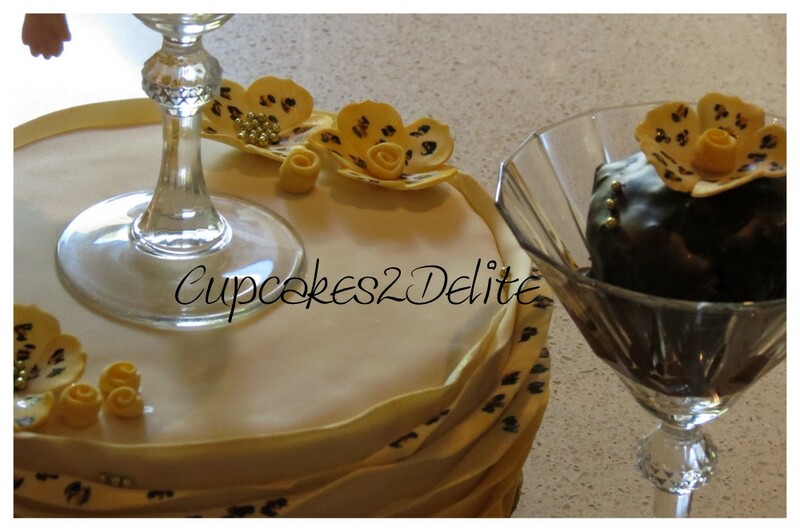 The result is a gorgeous leopard imitation cake once baked and cut! Next I had to make the Glynnis Figurine sitting in her martini glass. You can see how I made her in stages below. I started with her legs and body and then added a gorgeous sunflower yellow petticoat to her dress before adding her face, skirt and bodice. Andrea had said that Glynnis loves her leopard print tops and her wine so I painted the body and skirt with leopard spots using food colouring and then made her a little wine glass to hold. The final details to the figurine were her blonde hair, pretty eyelashes and peachy blushed cheeks. 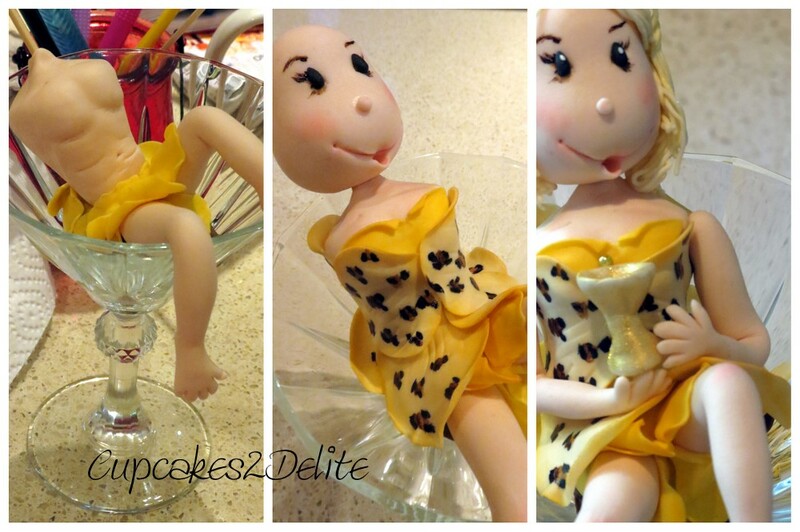 While making the figurine I also made cream and pale yellow flowers with leopard spots on them to add to the cake. 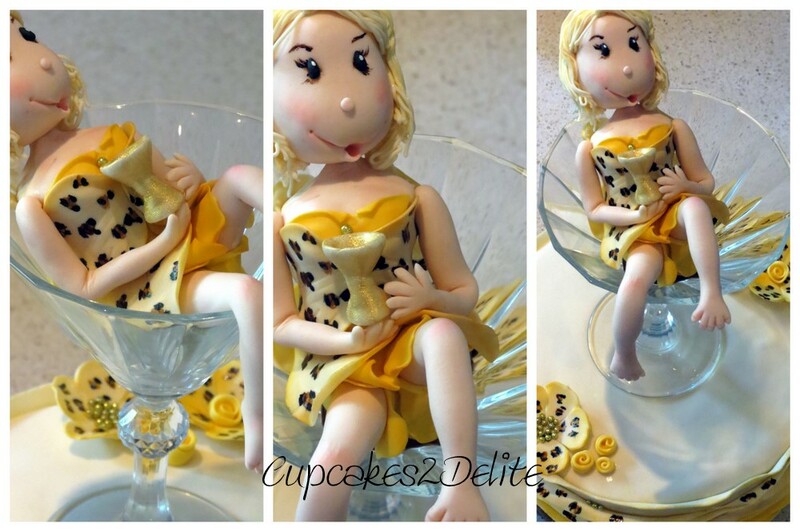 The cake I then ruffled with layers of cream, pale yellow and sunflower yellow ruffles some of which I painted with leopard spots to capture the wild and fun theme of this cake. This cake was a surprise for Glynnis’s 60th birthday and with all the detail that Andrea and Colin put into the ordering of the cake they also included a small gluten free cake that Glynnis could eat. I made this and it sat next to her cake elegantly in its own martini glass. 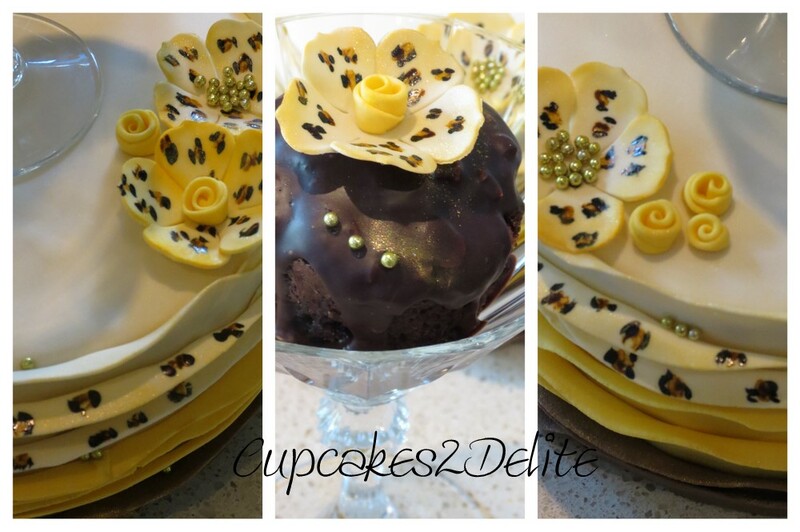 I used Lindt chocolate to ganache it and added a matching leopard print flower and gold beads to the mini cake to match the theme of the Leopard Print Figurine Cake. Wow I never saw this one .. it is gorgeous and I just love the spotted cake. Clever, clever!!! Thanks Wendy, you know me whatever surface stays still long enough to be decorated, will be!! !